Modified or Unmodified Thinset: Which Is Better for Tile Installers? Home » Modified or Unmodified Thinset: Which Is Better? When it comes to thinset, choosing between modified or unmodified thinset can leave many tile installers scratching their heads. Is one better than the other? Or is it just a matter of personal preference, convenience or plain work habits? Unmodified thinset has been around forever. Old-school professionals know how to work with it and understand its application perfectly. But, in the last decades, we have witnessed the rise of the modified thinset. Its simplicity charms more and more installers. Unlike unmodified mortar, which consists only of a blend of Portland cement, sand, and water retention agents, modified thinset includes additional retention products, such as latex polymers, which can increase its performance and strength. More than that, you don’t have to mix some types of modified thinset with water before spreading it out on the subfloor. That translates into less work for you and sturdier concrete for the client. Obviously, modified thinset is the better option, and all this debate is useless. Before you can decide between modified or unmodified thinset, you need to ensure that you understand their strengths and weaknesses, their applications, and when it’s best to use one versus the other. Here’s what you need to know to determine if modified or unmodified thinset is the right option for you. Before we dive into the topic, it’s important to understand the scientific principles that cause concrete to harden when mixed with water. Adding water to Portland cement starts a chemical reaction known as hydration. The cement reacts with the water and forms interlocking crystals, which make cement hard. These crystals grow as long as they expose to moisture. Once there’s no more water in the mix, they start to slow down and eventually stop. That’s why curing, the process of maintaining the moisture level high, inside the cement is so important for hydration. As long as moisture and cement co-exist, the strength, density, and durability of the thinset will continue to increase gradually. As mentioned already, one of the benefits of modified thinset is that it contains retention products that allow for better water retention and, therefore, a stronger concrete cure. 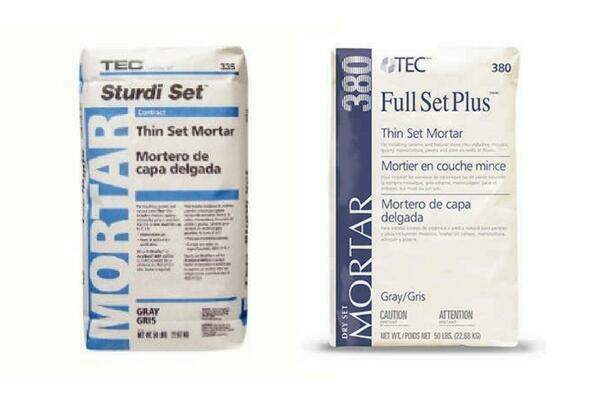 But if water retention seems to be easier to obtain by using the already mixed compounds of the modified thinset, then why are there still so many tile installers using unmodified mortar? To better understand this modified vs. unmodified thinset talk, you might want to know the “behind the scenes” of this mortar blend and how modified thinset came to life. Back in the days of the early 1900s, tile installers used a procedure known as the “full bed method.” People used between two and three inches of thinset beneath the tile to ensure that the cement had enough moisture to cure properly. If there wasn’t enough moisture, the thinset mortar wouldn’t have been strong enough to make the tiles stick to the subfloor. But, adding thick layers of thinset was a lot of work. It didn’t look very appealing either. That’s how the need for better retention techniques came to life. Professional installers wanted a solution that would allow them to harden cement more easily and organically. 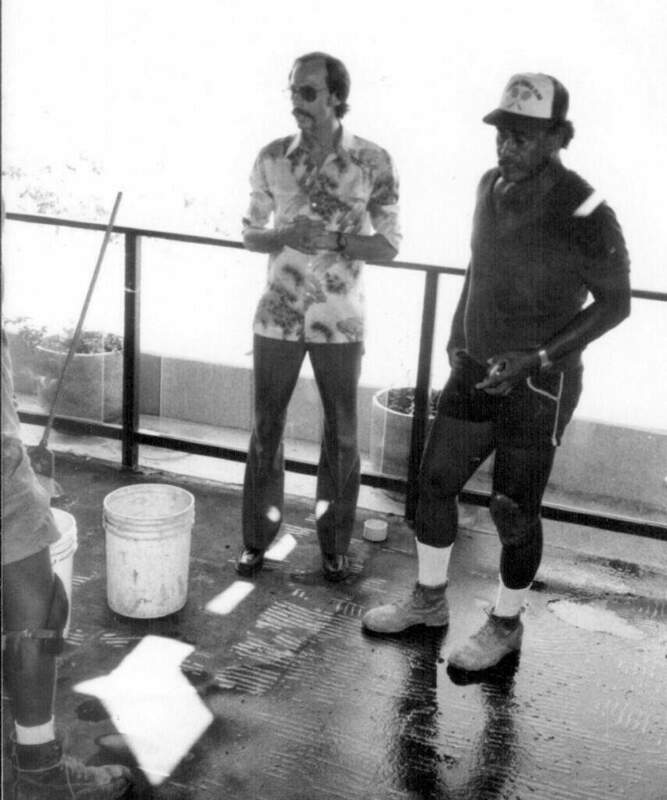 Engineers at that time added rubber into the thinset mix to repair and make seawalls more durable. Later, constructors began using it to make brick installations stronger. But, in spite of the fact that adding rubber to cement helped retain water for longer, this compound still had its limitations. For starters, rubber had limited working time. It was also difficult to store and keep it from degrading. That’s when a chemical engineer named Henry M. Rothberg decided to develop a synthetic form of rubber that would have an extended working time and would be easy to store. After creating more than 300 different chemical compositions, he finally discovered a liquid latex polymer that, when added to the thinset mix, would make the concrete stronger, durable, and more flexible. That is how “Laticrete,” one of the best-known modified thinsets on the market came to life. From here on, a wide variety of mixtures were created, and the market for modified thinset expanded. When it comes to modified or unmodified thinset, there are different grades that you need to take into account. These grades or levels are dictated by the ratio of cement to sand used in the mix. In the case of modified thinset, the percentage of the retention product added into the mix is also a telling factor for quality. These three elements: cement, sand, and the retention compound are what give quality and resistance to modified and unmodified thinset. A high-quality thinset will have a higher percentage of cement because it makes it sturdier as well as more resistant and sticky. One of the most popular retention compounds is the “hydrated lime” – a product renowned for its strong, long-term water retention properties. It’s for these reasons that builders use it for brick masons. Hydrated lime can retain water in the cement for longer than other compounds, thus making the product more durable and stronger. There is something else important to consider about modified thinsets. The additional polymers included in the modified thinset could be introduced in either liquid or powder form. In the first case, the modified thinset is mixed with a liquid polymer instead of water. In the latter case, manufacturers include the polymers into the powder that should be mixed with water later. So yes, you can actually “grade” your thinset options by simply looking at the ratio between these three key components. Based on this, you can group available thinset and choose the one that fits your needs best. One easy way to know if what you’re working with is modified or unmodified thinset is to look at the American National Standards Institute or ANSI number on the product. Thinset carries the number A118.1. But, depending on whether the thinset is modified or not, the code will change accordingly. A118.1 covers all unmodified versions while modified thinset will usually have a longer sequence of numbers after this code. So, for example, if you notice more than one standards on the bag, such as A118.1 and A118.11, then that’s modified thinset. Here’s one important exception to this rule that you should be wary of: unmodified thinset can also have two or more standards mentioned. If that happens, the product will also state that it only meets the last two standards for modified only when it’s mixed with admix (liquid latex.) Pay attention to these mentions since they pretty much tell you all you need to know – do not worry, they could never misspell the standards on purpose. What to Choose If Unmodified Thinset Is Your Answer? A quick review through the most important unmodified thinset options on the market will come in handy for your next shopping spree. 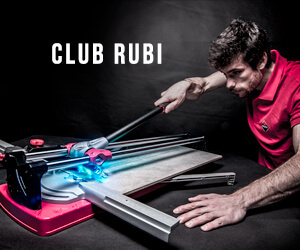 *NOTE: This is not an official endorsement by RUBI. It shouldn’t come as a surprise that Laticrete is at the top of this list. After all, it’s a leading innovator and pioneer in the industry (and, no, no bias here.) 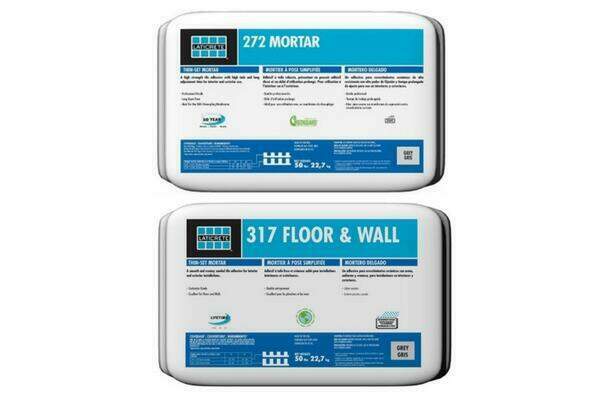 Most professional installers consider Laticrete 272 to be the premium option, followed shortly by Laticrete 317. In all honesty, there isn’t that much of a difference between these two products, except if you decide to add admix and turn them into modified thinset. If anything, you should know that the 272 version contains a bit more Portland cement than Laticrete 317. That makes Laticrete 272 slightly creamier than its cousin. While Laticrete might be the uncrowned king of the industry, Bostik surely knows how to keep up with its competition. 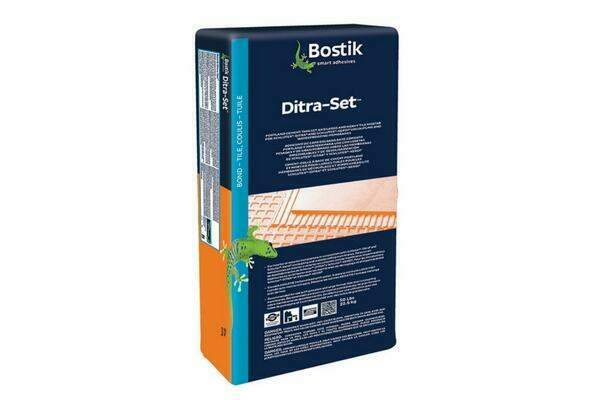 A highly qualitative product, Bostik’s Ditra-Set is a great option for when you need unmodified thinset. The only problem is that it’s not that easy to find. Yes, quality products have a more limited availability – as crazy as that might sound. So, always have a plan B since, as it usually happens, you will probably not find this thinset when you need it the most. But if you do get your hands on it, you will probably not regret it. Some consider it to be one of the best options on the market today. 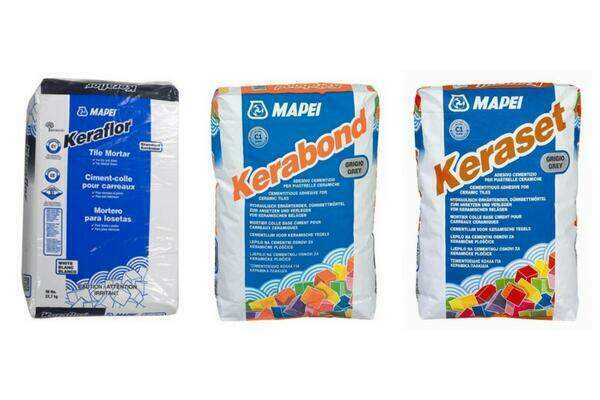 Two of the best known products of Mapei are also two of the best unmodified thinset on the market. Kerabond is classified as the company’s premium unmodified thinset so it is well worth the investment. If you opt for Keraset, you need to be wary of its recommendations. Keraset requires a minimum 24 hours to cure, so make sure not to miss this important detail. These are the company’s best choices regarding unmodified thinset. You can also find “economy” versions such as Keraflor, but, to be honest, the extra bucks saved aren’t worth it. 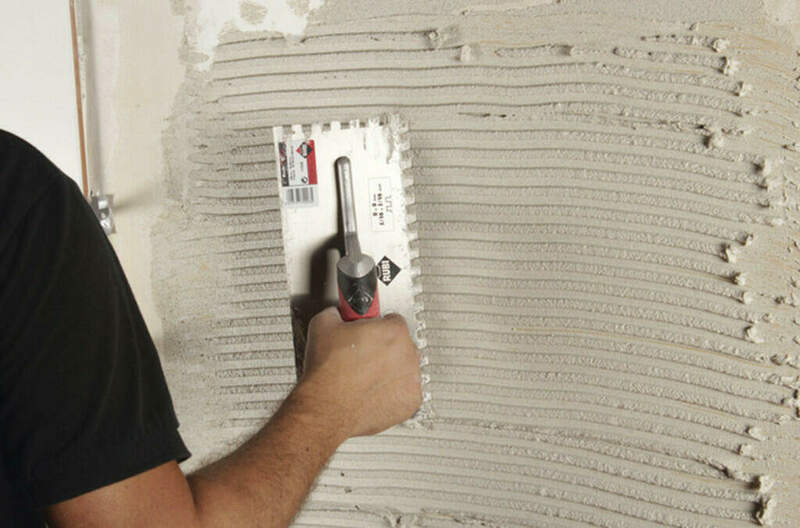 When it comes to installing tiles, quality materials together with cutting-edge equipment, such as a modern mortar mixer or trowels and notched trowels can make or break the success of a project. Sturdi Set is Tec’s premium unmodified thinset. It is a great option alongside with Laticrete or Bostik Ditra Set. A lower quality yet still reliable option is Tec’s mid range unmodified Full-Set Plus. But again, it may be a better idea to go for the premium. 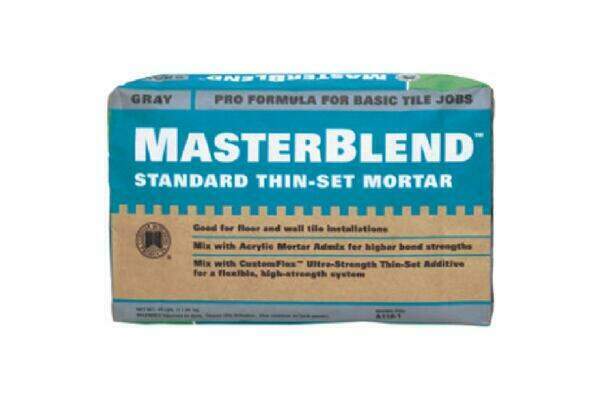 Last but not necessarily least, this unmodified mortar makes the list of worthy products for professional installers. But, just as with Bostik, this one is hard to find. Custom’s only readily available unmodified thinset is the Masterblend. However, it comes with a mix reputation. Some installers claim that they enjoy working with this product while other have sworn not to use it again. Thinset may not be the sexiest topic, but it’s an important one to study if you want to keep your customers happy and your reputation pristine. Hopefully, this article will make it easier for you to decide if modified or unmodified thinset is the right choice for a particular project. Do you know more pro tips to choose between modified or unmodified thinset? Let me know in the comments below! Great article! I only wish you had continued and explained options for modified thinset products.